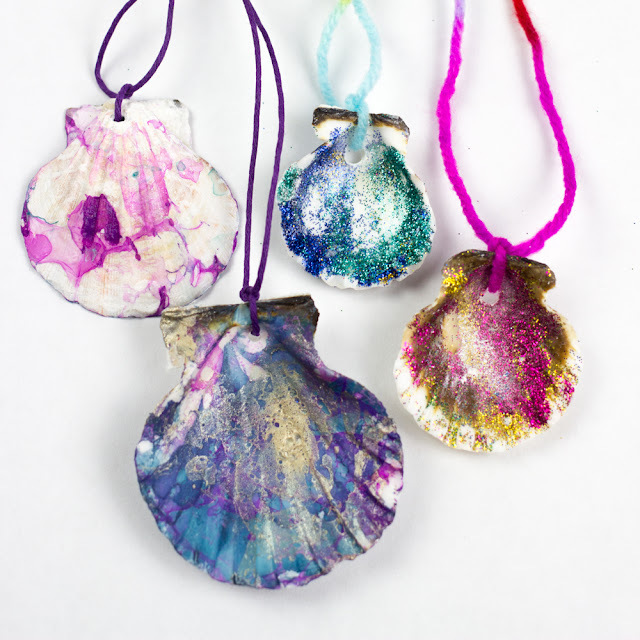 Do your children love collecting shells at the beach? Or do they simply adore mermaids? Or do they just enjoy adding colorful, glittery flair to every craft they touch? Well, today's summer craft is for you! Recently we had a playdate where we made these lovely glittery and marbled shell necklaces! The kids (whose ages ranged from 2-7) all really had fun, so I had to share the craft here too. 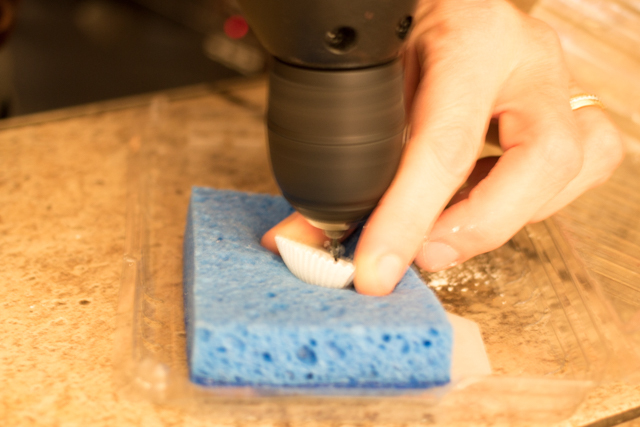 First, grab your shells (we purchased ours from Michael with a coupon- woot woot! But Amazon also has a great collection of plain sea shells). We made these with our older kids (6+). 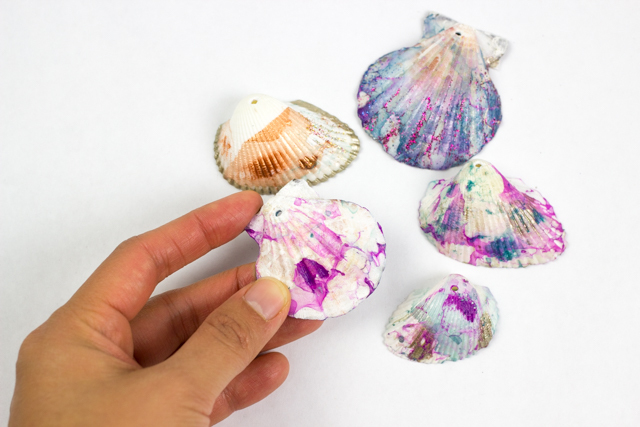 To marble our shells, I just followed these marbling instructions here. 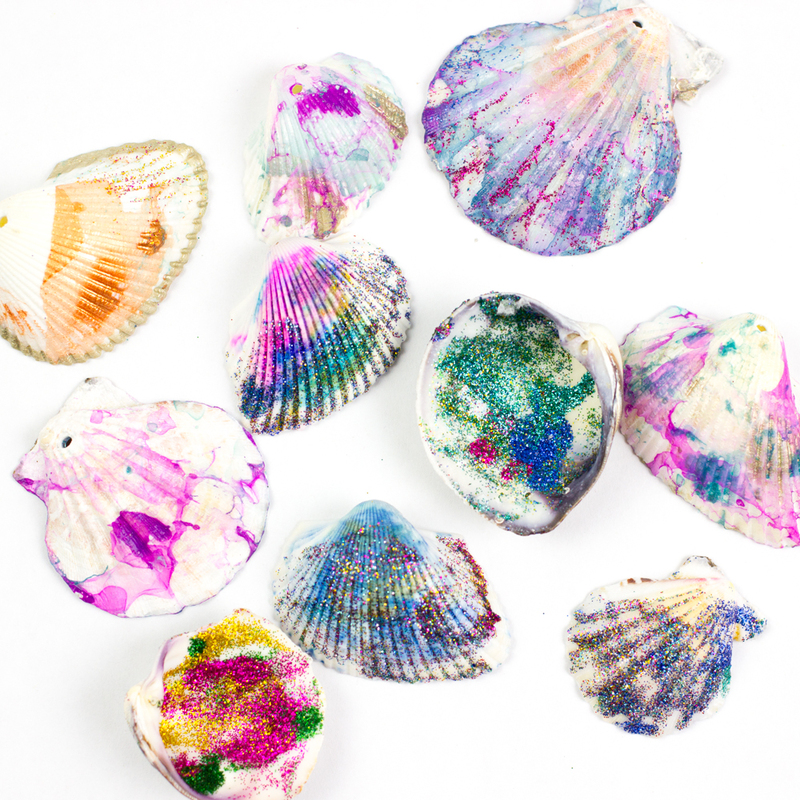 We also used painted nail polish on portions of the shell too! To add a bit more flare, we used glitter glue to add a bit of sparkle. 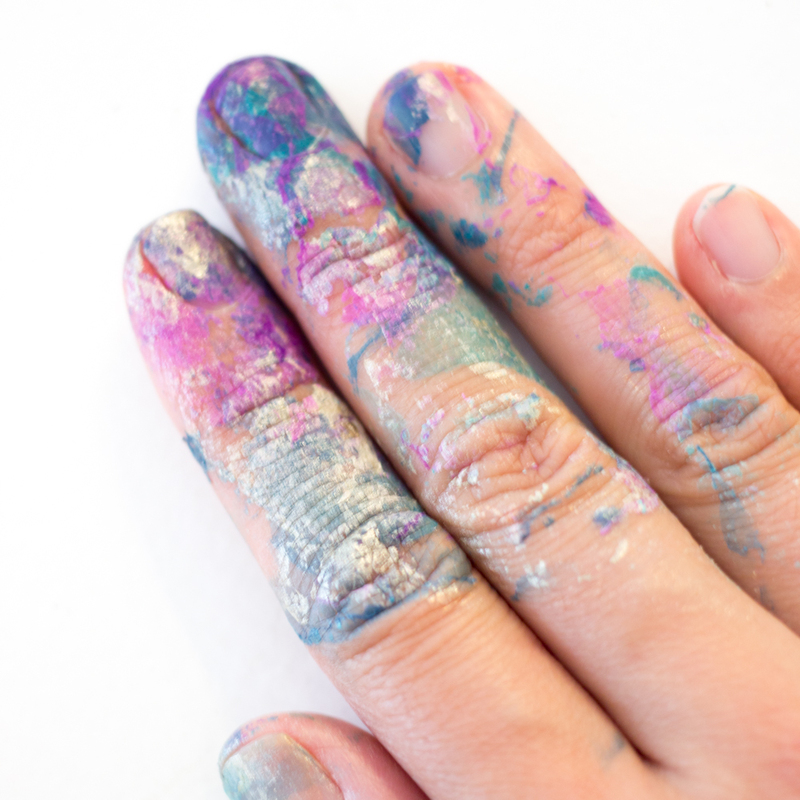 A note of a warning- Make sure you have some nail polish remover on hand. Or just wear gloves. Otherwise, you'll end up with magical mermaid-esque hands like I did. 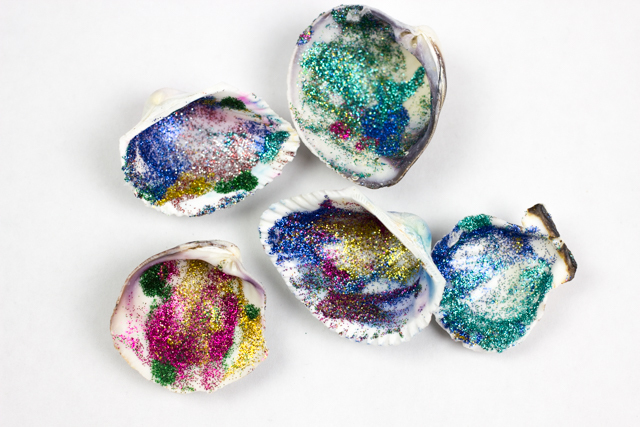 While the older kids were marbling, the younger 2-year-olds were busy using markers to decorate their shells and then squeezing glitter glue inside. They had a blast! 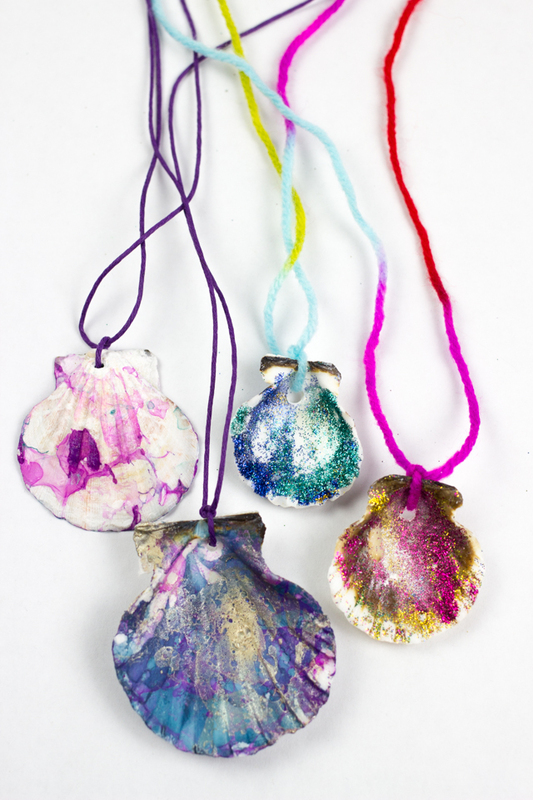 And then we strung them on yarn and waxed cotton cord to make pretty, summery necklaces.